The third generation 2015 Honda Fit remains a top pick for Jackson area subcompact shoppers. The Fit offers a fresh, sporty exterior design and roomier interior. It’s better in every way, performance, fuel efficiency and packed with more value in every model. And yes, there are more models availble for 2015 as well. The new-for-2015, Earth Dreams Technology engine and transmission is highly responsive and top-of-class for fuel efficiency. The new Earth Dreams Technology engine significantly increases power, torque and throttle response with the help of two newly developed transmissions – a 6-speed manual and all-new CVT with G-Shift Control. The 1.5L DOHC 4-cylinder engine with i-VTEC+VTC valve and timing control features direct fuel injection, reduced weight and friction, and other changes to produce an 11% increase in peak horsepower. For 2015, the Fits new EPA fuel-economy ratings are 29/37/32 (city/highway/combined) for the manual transmission, 33/41/36 for the LX trim with CVT and 32/38/35 for the EX and EX-L trim with CVT. A few of the new and notable features for 2015 is the Multi-angle rearview camera with guidelines, available Smart Entry & Push-Button Start & Power Moonroof along with optional Leather trim interior. 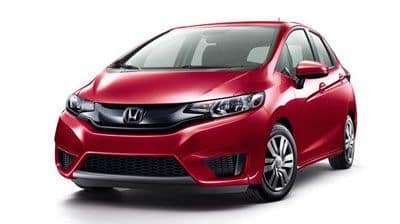 The Honda Fit has always amazed customers and the automotive press alike on its interior space, for the 2015 the Fit increased passenger-compartment volume up 4.9 cubic feet for a total of 95.7 on the LX and 93.8 cu ft on EX and EX-L trims. The Fit’s second-row Magic Seat can transform from a roomy place for three passengers to Tall Mode, Utility Mode, Long Mode, or Refresh Mode. Learn more about the 2015 Honda Fit Versatility here. The Fit offers a long list of standard and available features in the model line of LX, EX and EX-L trims. Standard across the board on all 2015 Fit models are LED brake lights, Rearview Camera, Bluetooth HandsFreeLink and a center storage console with armrest big enough to fit an iPad or other tablet. Also standard, Eco Assist with coaching bars that turn blue to green and more efficient driving techniques are used. Plus, CVT models come with the efficiency enhancing ECON button to help Fit drivers maximize their fuel efficiency and make fewer pit-stops at the gas station. And rounding out this remarkable long roster of desirable features are auto-on/off headlights for exceptional ease of use on all Fit models. The Fit LXs come with a new easy to used 5 inch color LCD display and a 160-Watt AM/FM/CD Audio System with 4 Speakers. Select the EX or EX-L trim and get features such as Smart Entry with Pushbutton Ignition making it exceptionally easy and convenient to unlock, drive and re-lock the Fit, 7” Display 180-Watt AM/FM/CD Audio System with 6 Speakers and electrostatic touch-screen making for an easy to use audio interface, Honda LaneWatch display that uses a camera located below the passenger-side mirror to display an expanded rear view of the passenger-side roadway through the Display Audio. The EX-L trims come standard with leather trimmed interior In addition to leather trim on the seats plus leather trimmed steering wheel and shift knob as well as heated front seats. Available on the EX-L is the Honda Satellite-Linked Navigation System which includes Honda HD Digital Traffic, HD Radio and SirusXM Radio. HD Radio provides CD quality AM and FM sound, multi channel broadcasting and song tagging capabilities. If you’re ready to get behind the wheel of a Honda Fit, schedule a test drive today. 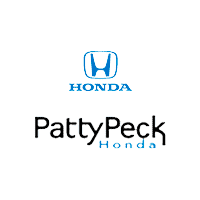 We currently have pre-owned 2015 Honda Fit models at Patty Peck Honda, near Jackson.